Top teams will clash once more in Birmingham. Eight of the 12 teams attending ESL One Birmingham have received their direct invites to appear on one of Dota 2’s biggest stages. The actual event won’t be held for almost two months, but the cast of teams already features almost every top squad in the current Dota Pro Circuit. Virtus Pro, Team Secret, Vici Gaming, and Evil Geniuses hold the top four positions and are the only teams locked in for The International 2019. After the last few DPC events, both VP and Vici will likely be the favorites depending on upcoming results. Joining the best of the best are three other teams ranked in the top 12: LGD Gaming, Ninjas in Pyjamas, and Team Liquid. OG are the eighth team, despite struggling to get back to their top form after winning TI8. With the return of ace player Anathan “ana” Pham after he took an extended break from the pro scene, things might be looking up, though. Outside of OG not holding a high DPC rank, the real surprise is not seeing Fnatic or any representation out of Southeast Asia. There are four representatives from Europe, two from China, and one from both North America and the CIS region. With Fnatic placing well recently, their exclusion seems a little odd. Four other teams will join the already-announced roster, too. There will be qualifying tournaments in China, North America, and SEA for three of those spots, while the final team will make it in by winning the GG Bet Birmingham Invitational. These qualifiers will take place throughout April. 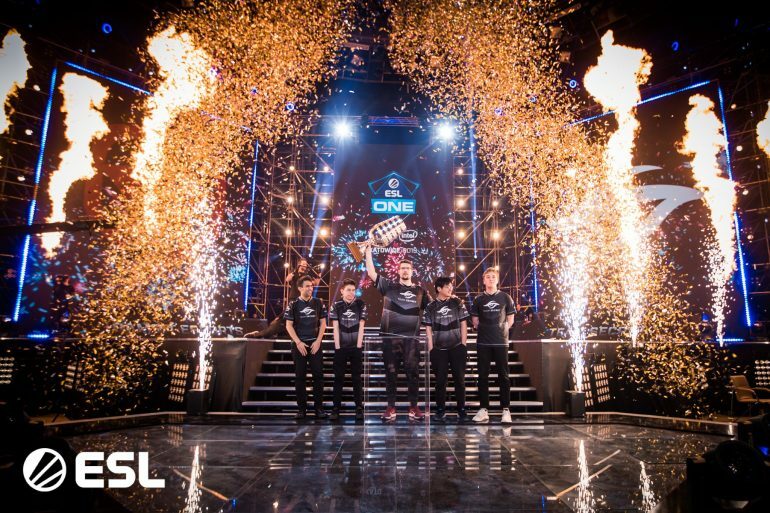 ESL One Birmingham will have the standard ESL prize pool of $300,000 and is set to run from May 28 to June 2. It will be the largest non-DPC event during that time period.